The year was 2012, and digital picture frames were expected to take the living room by storm. The frames were usually LCDs surrounded by decorative wood and metal, and were advertised as innovative replacements for boring, static printed photos. But consumers didn’t bite. U.S. sales of digital photo frames dropped from $159.4 million in 2011 to $88.6 million in 2012, and by 2014, the number of digital photo frame models on the market decreased by a whopping 77 percent. Those numbers might scare any company thinking about entering the electronic frame market, but not Art.com. 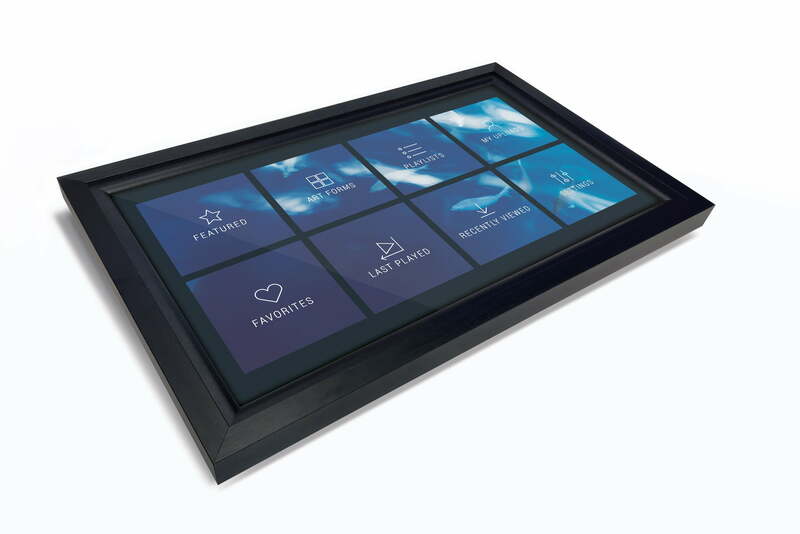 Earlier this month, the art retail giant threw its hat into the ring with Klio, a wall-mounted digital art frame. Early digital frames suffered from a myriad of shortcomings. Some frames were unintuitive, lacking any sort of wireless connectivity and requiring an SD Card or USB drive to load images. Others sported disappointingly low-resolution displays and bulky plastic shells. Many had complicated software that made even the simplest of tasks, such as scheduling a slideshow, complicated chores. Klio, a product of Art.com’s experimental Labs division, was designed specifically to address those shortcomings. Boiled down to basics, it’s a wide but thin (the largest model measures 47 x 31 x 3 inches), wall-mounted 4K LED display that downloads photos and artwork via a Wi-Fi connection. It stores artwork data in the cloud and caches it locally as needed, runs a modified version of Google’s Android operating system, and can be managed through a companion app for iOS devices. But the Klio is much more than a sum of its parts, Art.com CTO Nasos Topakas told Digital Trends. Unlike the digital art frames of yore, it isn’t meant to replace existing art; rather, it’s intended to augment it with new forms. “[Klio] is an ongoing, ambient experience that can be a permanent fixture in any room in the house,” said Topakas. Much of that experience involves motion. One form is Chrono Art, or “digital narratives” comprising video and stills that unfold over the course of days, weeks, months, or even years. Morph Art features subtle, unexpected changes in still life canvases, such as a figure emerging from a small cottage or light appearing from beyond a mountainside. And Chrono Art reflects the passage of time in any number of playful ways. Topakas described an illustration of a London skyline with a prominent, shifting Big Ben clock face. In another, dripping lines of wet paint indicate seconds, minutes, and hours. Choosing between artwork is handled mostly by wireless remote. From the settings menu, playlists of artwork — still art, motion art, and videos up to 4K in resolution — can be managed and edited, and individual pieces selected, marked as favorites, or deleted. You can upload personal artwork and photos via the app, or choose from Art.com’s digital catalog. The storefront prominently highlights a rotating number of collections. While independent artists use mediums such as social media for promotion, Klio allows their work to be featured as home decor, which may generate a following. The Klio as may be a Trojan Horse for independent artists, but it might soon become more: a source of livelihood. A business model hadn’t yet been finalized, but that Art.com will begin experimenting with “limited edition” digital artwork in the near future. And while all digital pieces are currently available to Klio owners as part of a $10 per month subscription, the company envisions dynamic — but palatable — per-piece pricing down the road. A digital frame’s hardware is important, but the way in which the artwork it displays is acquired and cultivated is even more interesting. Klio puts platform front and center, and with the foundations of a flexible storefront and innovations like Morph Art, seems off to a good start. You can order the Klio through its official website.